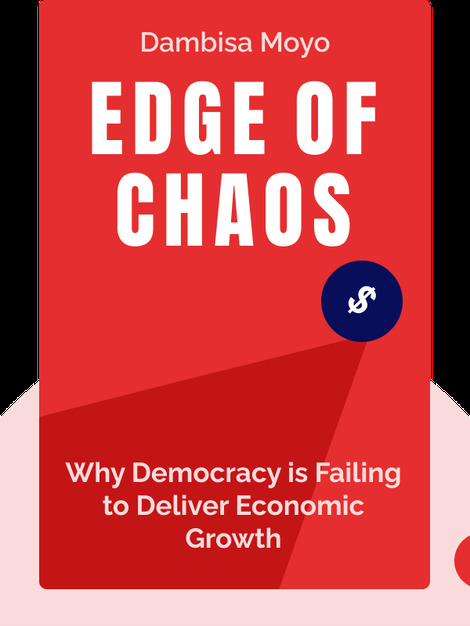 Edge of Chaos (2018) examines the key challenges that liberal democracies around the world are facing today. Aging populations, limited resources and increasing debt are all threats to these countries’ economic well-being – but so too are the “remedies” of short-term policies and protectionism. 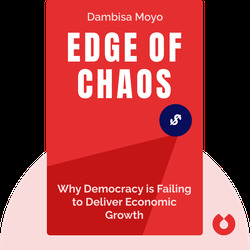 Author Dambisa Moyo examines that misguided agenda and presents a radical blueprint for economic growth in the twenty-first century. Dambisa Moyo is an internationally renowned economist and author whose career has included posts at the World Bank and Goldman Sachs. Her macroeconomic analyses have landed her on the New York Times best-selling books list four times. Her books include Dead Aid (2009), How the West Was Lost (2011) and Winner Take All (2012). In 2009, she was recognized as a World Economic Forum Young Global Leader, listed in TIME’s 100 most influential people in the world and named as one of “20 remarkable visionaries” by Oprah Winfrey.